In January 2013, I set an outrageous intention to write a book. Once I get an idea in my head, there is no stopping the train—I am in 100%—full throttle with no brakes. I push up my sleeves, get pumped up with energy, and face my fears head on. It’s life on the verge—on the edge of what’s comfortable, and I honestly know of no other way to live. My long road to right now is two years later. I’ve written a long book proposal, somehow found an agent, and landed a real-live book contract with New World Library. I also enthusiastically committed to handing over my manuscript for, On The Verge, by July 1, 2015. That is less than five months from today. And so here I sit, on the verge of writing a book about living on the verge—about leaning into the unfamiliar and uncomfortable—about showing up for this moment and directly experiencing the power of being fully alive. As I attempt to pull this book out of me in the next five months, I know I will get a taste of my own medicine. It’s going to be uncomfortable and unfamiliar. 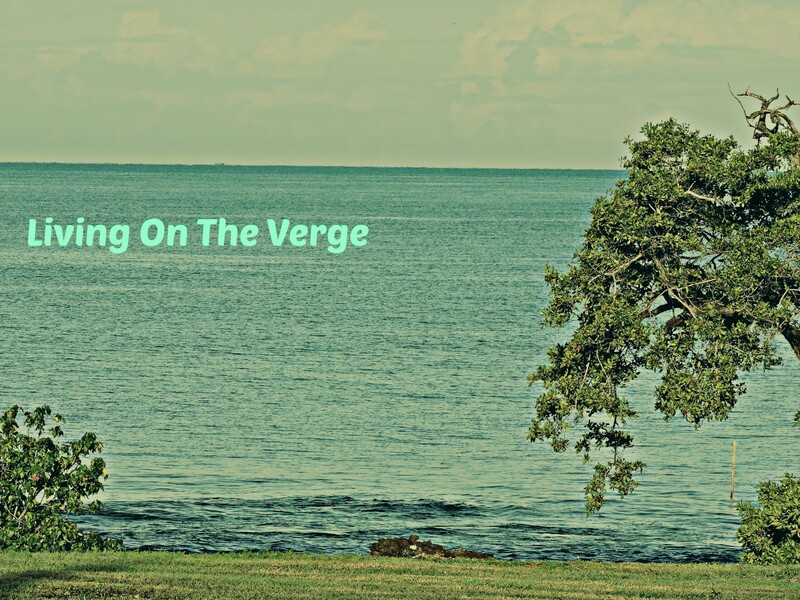 Which brings me to the point of this new blog series: Living On The Verge. I’d love some company in these next five months and then in the months prior to publication. I’d love to engage with you and hear your stories. I’ll let you know what’s happening out there, on the edge of my comfort zone. I share portions of chapters and ask for your feedback. I’ll give it to you straight—unveiled and unplugged. Please join me on this journey (it’s much more fun that way, anyhow). Let’s dive in 100% and experience this unstoppable train ride we call life. Let’s explore how to live on the verge—how to show up for the moment and realize our potential. Together, let’s experience the power of being fully alive.